When I was little, my grandfather had his own donkey (!) and it was entertaining to see him argue with it. 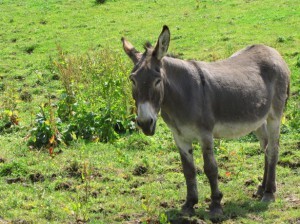 I quickly learned, however, don’t argue with a donkey and by all means do not piss off a donkey…ever! A donkey can easily stop in the middle of a busy street and stubbornly persist there for hours, no matter what. I’m telling you, not even Obama and his army can move a donkey off the street! While we can’t help you much with #1-#14, for #15 we have the best backup solution to help you out. If you have a really nasty work setting where trust is lower than zero you may want to use our built-in cloud and remote backups to move files far away from the office where they can’t be manipulated or deleted. For more information also have a read through my Hyper-V backup post. Good luck with your donkey!